I’m unabashedly thrilled to know that Spring is coming. Living in this part of the globe, that first whiff of warm air, seeing the buds appearing on trees or green shoots pushing through the dirt is so exciting. But it comes slowly here. This past weekend was a tease – warm air, sun and then it disappeared, to overcast skies and rain. And unfortunately colder temperatures. For those who want to see snow again, it will happen in southern Ontario before the end of March. So how to survive until Spring really happens? 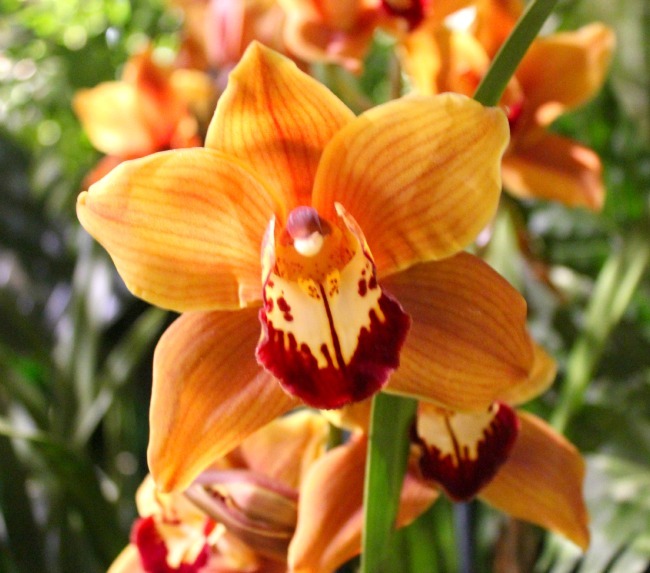 If you can’t escape to the sun, the next best thing – a flower show. Now I know it may seem like the choice of your Grandmother or an older Aunt, I challenge you to attend one and not feel like Spring is about to show up. There’s something that is irresistible when seeing lilies, orchids, tulips and daffodils that can erase the effects of the gray days. Visiting the Philadelphia Flower Show was a treat – not only to be able to go to a preview, so seeing the floral displays, plant winners and amazing exhibits without the crowds, but to be in a humid environment with bright colours and every shade of green around me – I was exhilarated by it all. And as I wandered and spotted more beauty from the weaving together of flowers – I knew Spring had come already.